Some of the items available for sale. 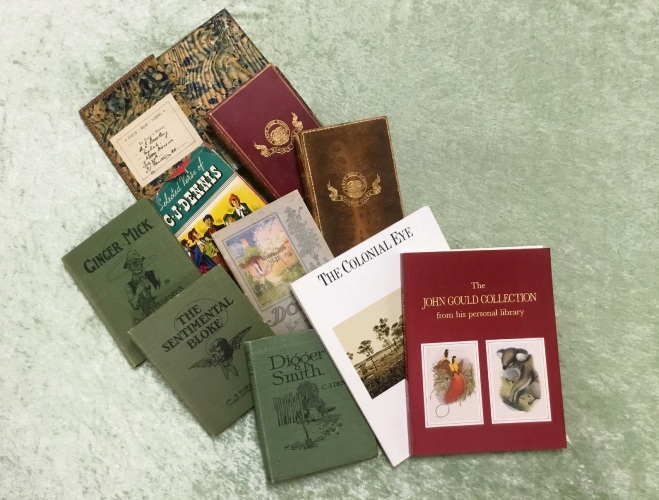 A BOOK signed by Mary Durack and a souvenir brochure on the opening of the City of Perth Fire Brigade are among items up for grabs at the 2018 Giant Second-hand Book Sale and Auction in Nedlands next weekend. The Royal WA Historical Society event will also have three books that were given as history and geography prizes at Perth High School (later Perth Boys High School) – including one given to A Brooking in 1888, an early 20th century edition of the History of Western Australia written by WB Kimberley and art catalogues from Barbara Chapman and John Gould. Items will be auctioned by Peter Homes. The sale is open on Saturday and Sunday, April 7 and 8 from 8.30am-5pm and the auction is Saturday from 10.30am, all at 49 Broadway, Nedlands.